As supply chain optimization consultants, we are always happy to share our experience and expertise with other seasoned industry executives and leaders. Earlier this month, Zero Down’s CEO Brad A. McBride penned an informative article on carrier contract negotiations for PARCEL Industry magazine. 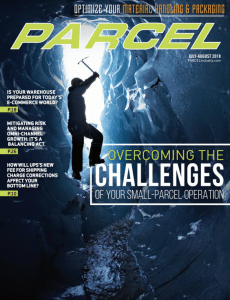 The article, titled: The 4 “Must-Haves” for Successful Carrier Negotiations, appeared on ParcelIndustry.com and was a feature article in the publication’s email newsletter for subscribers. We’ve included a few key excerpts from the article below. One of my all-time favorite mottos is “Play like a Champion!” This motto can be applied to all areas of life, including “Negotiate like a Champion!” What can you do to level the playing field and negotiate more favorable parcel rate agreements for your company? The fact is that you can only negotiate like a champion if you are properly prepared with the right strategies and tools to facilitate a successful parcel negotiation. Ideally, you should consult with industry experts who possess the same knowledge, technology, and experience as the carriers themselves. Reputable and highly qualified consulting firms that are market experts can bridge the knowledge gap and manage the entire bid process from A-Z. Typically the savings results will be maximized with a third party, especially one with a robust platform to manage this process, allowing your team to focus on the day-to-day operations while still maintaining all decision-making powers in the project. In most cases, clients don’t even change carriers to achieve the savings.